When I first looked upon this DVD, I got an awful feeling. I knew I dreaded the thought of watching it, yet that very same dread meant that I had to. I haven’t gotten that feeling since I reviewed Dragonball Evolution. While anything can be postponed indefinitely, I knew I had to bite that bullet sooner or later. I knew I had to watch My Little Pony: Equestria Girls. This was the very first full length movie for the now iconic series My Little Pony: Friendship Is Magic, the latest incarnation of the My Little Pony franchise that has enchanted adults and children alike. Truth be told, I know very little about the plot of Friendship Is Magic, save that it ends when Bronies control the world. This is a blind review, folks. Up until now, I have never watched a single episode of Friendship Is Magic. I resisted the call of the herds until now, but like trading hats and lying about cakes, its presence is so powerful that you just have to see what it’s about. The general plot is that one Sunset Shimmer has stolen Twilight’s crown and has fled into an alternate dimension. Twilight pursues Sunset, and must recover her crown before the portal linking dimensions closes, trapping her forever. Well, not forever forever; just for 30 moons, which can feel like forever! Twilight Sparkle must survive an environment more unusual and hostile then anything she has ever encountered in all of Equestria; High School! The alternate dimension is Canterlot High School, where Sunset Shimmer rules with an iron fist as the most popular girl of all! At least I can get Tara Strong to sign it for me now. Like in any plot where a character is suddenly transported into a strange new world, Twilight Sparkle freaks out in her new environment. For once, this is a totally appropriate reaction to this all-too-common scenario. When you’re a magical pony princess, a human high school must be completely alien to you, especially when your body’s been morphed into human form. If I was transformed into a pony and teleported to Equestria, I’d be screaming’ my head off, too! This being an alternate dimension, she does find the alternate human versions of all her friends to help her out. Seeing the humanfied versions of the Ponyville Pals was weird at first. The human versions kept the same skin tones as the pony versions. Seeing pink, blue, and purple people did put me off. However, if you see it in action for a minute, you’ll get used to it. If you can get over that, you’ll enjoy the art. My Little Pony is one of the few American cartoons today that puts some elbow grease into its animation. The colors are bright and varied without looking random. There’s a lot of detail in those backgrounds; there’s stuff everywhere. Everyone just looks distinctive. Even though it is well drawn, I did have some difficulty watching it. The pony-ness was just too much for me! I’m too manly to watch My Little Pony! Or maybe I’m not manly enough? I can’t tell at this point. Honestly, I think it had to do more with the high school part. 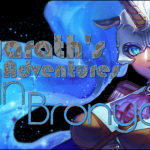 I was fine when it was all ponies and magic and adventure because I do enjoy a good fantasy story. I just do not like toxic social environments like high school. It brings back bad feelings of social isolation. While I did avert my eyes, I kept my headphones on. A spoonful of sugar helps the medicine go down, and a good musical number makes anything easier to watch. 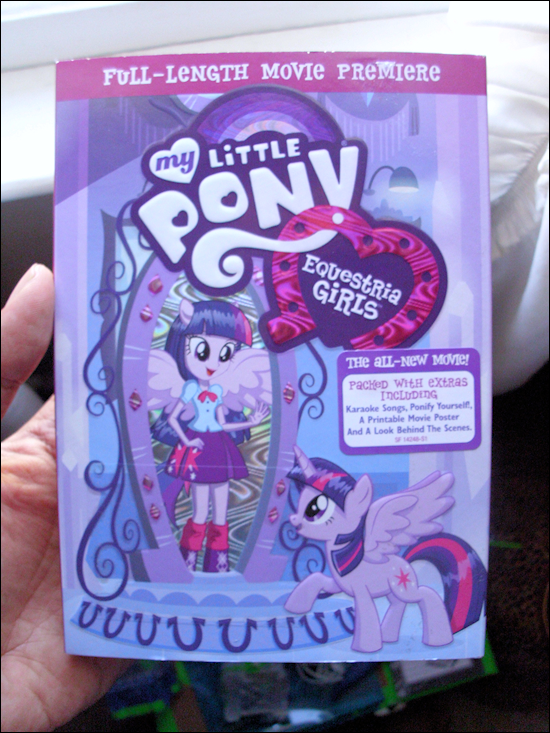 Equestria Girls (the movie) comes with five original songs, and some of them are really catchy. 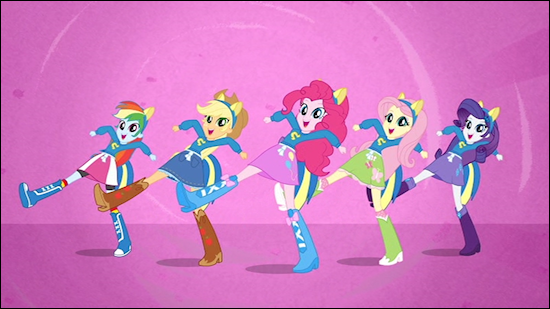 Equestria Girls (the song) has all the Ponyville Pals singing together to rally the students to Twilight Sparkle. 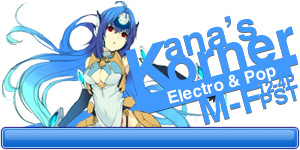 It has a nice beat and a good tempo. This Is Our Big Night has the pals getting ready for the big dance. It’s a dress up music video, and I enjoyed seeing them get all glammed up. It’s nice to listen to songs that don’t center around romantic relationships! This movie wasn’t the bitter pill I thought it would be. 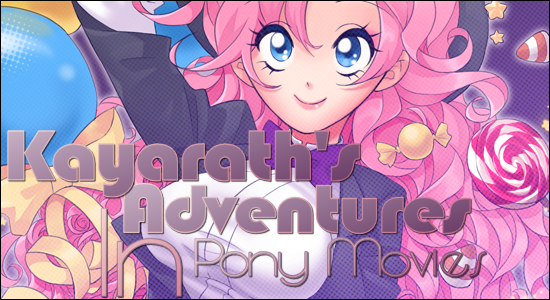 Once you see past the pony-ness, you’ll discover a watchable, and maybe even enjoyable, movie. While there are a few more cliches then I would like, it’s also a fairly intelligent movie that has some depth to it. Twilight Sparkle becomes accustomed to being a leader, uniting the various student groups, and is even willing to sacrifice going home in order to protect them. I even found the dramatic final confrontation exciting, even though I could make a drinking game out of how many tropes I could recognize. I dare say that Twilight Sparkle is badass! Well, I guess that makes me a Brony now. I guess I’d better add Equestria Daily to my bookmarks and start posting pony pics on my twitter. I should also start attending BronyCon now. 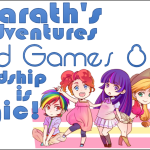 It’s the largest My Little Pony: Friendship Is Magic convention in the entire world! Brohoof?